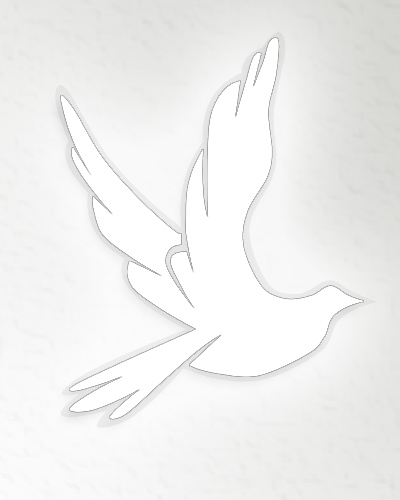 Obituary for Edith Virginia (Beverage) Gutshall | Obaugh Funeral Home, Inc.
Edith Virginia Beverage Gutshall, 83, formerly of Monterey, died on Sunday, February 21, 1999 at the Pendleton Nursing Home. She was born on October 10, 1915, at Monterey, a daughter of Bryon A. and Ella C. (Hiner) Beverage. She was a homemaker, a member of Monterey United Methodist Church and attended Highland Baptist Church. She was a life member of the United Methodist Women, former member of Staunton Chapter, Order of the Eastern Star, former member of the Monterey Garden Club and enjoyed gardening and refinishing antiques. On December 25, 1936, she married Roscoe M. Gutshall who preceded her in death on September 8, 1967. She was also preceded in death by two sisters, Kathleen B. Markely and Hilda B. Durette. Survived by a son and daughter-in-law, Doug and Mary F. Gutshall of Monterey; three granddaughters, Laura Lorraine Gutshall of Bridgewater, Dana Marie Gutshall of Harrisonburg and Alana Elizabeth Gutshall of Monterey; and nieces and nephews. A service will be conducted at 11 a.m. on Wednesday at Obaugh Funeral Home by the Revs. Robert L. Haley and Jerry Ginn with burial in Monterey Cemetery. Pallbearers will be Ben Stephenson, Eugene Ratcliffe, Nick Pugh, Rich Hevener, Tommy Mitchell and Roger Vincent. Honorary pallbearers will be friends and neighbors attending the service. The family will receive friend from 7-8:30 tonight at the funeral home. The casket will be closed.